Selling your home is a big decision and can be extremely intimidating & stressful if you have never done it before...or even if you have. My goal is to help prepare you and your home for sale and to guide you confidently and successfully through the process. The average American will own 3 homes in their lifetime and since the market is always changing the likelihood is that no two experiences will be the same. I am here to make the process painless and even fun...yes, fun! Selling your home can be a great experience if you work with a Realtor who listens to your needs, is on top of market conditions and who can properly identify & professionally market to the segment of the population who is most likely to purchase your property. I hope you will allow me the opportunity to work with you to sell your home in the shortest amount of time for the highest possible price given the current market conditions. Listening to your needs & understanding why you are selling your property is the first key to implementing a successful sales strategy. Your reason for selling and your timeline will dictate how we price your property and our marketing strategy. We will discuss trends in the local market & review comparable home sales in your neighborhood so that you have ample data to consider when pricing your home. We will also discuss how to present your home in the best possible light. Expenses that you incur up front preparing your home for sale will pay dividends with a faster sale & higher price. Compass offers a program that other real estate companies do not when listing your home for sale. Compass Concierge is a service that will cover the up-front costs associated with getting your home ready to sell such as painting, staging, landscaping and deep cleaning. At the closing of the property, Compass Concierge will collect a fee that covers the cost of the work performed. It is important to be pro active when it comes to disclosures so as to avoid any surprises during escrow. I will guide you through this process to ensure that we are prepared when your home comes on market and we will be ready for offers in one day! Once we have properly prepared your home for market we are ready to present it for sale. 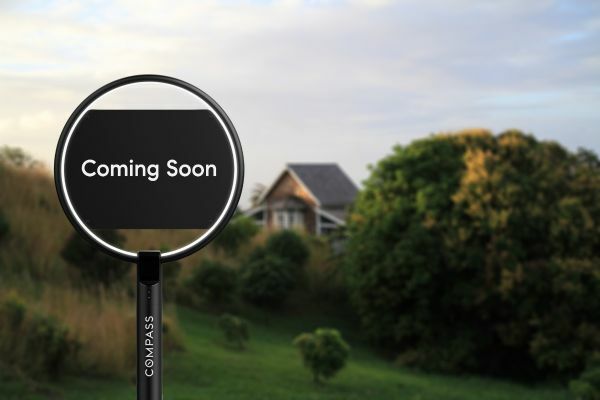 With Compass coming soon I am able to pre-market your home so as to create early demand, driver buyer excitement and get more exposure for your listing. Coming Soon allows me to launch your listing twice, gaining twice the exposure for your home. In addition, listing your home as Coming Soon will allow us to gain valuable feedback on your home, before it's on the MLS. When it's time to go live to the whole market, your home will be priced & positioned to sell quickly. I have a multi-faceted marketing plan including print, digital and social media which I will detail for you when we meet. A key to successfully marketing your home is powerful imagery. Compass invests in visuals editors, creative producers, and the industry's most respected photographers to capture your home's finest selling points. With Compass marketing center I can create expertly designed, visually stunning marketing materials customized to showcase everything your unique home has to offer, and attract eager customers. Without having to spend the time building marketing materials from scratch, I can prioritize finding and interacting with interested buyers. Insights surfaces detailed metrics about the market status of your listing. This tool highlights the traffic your home is receiving, where that traffic comes from, how long visitors view your home, and how often they return to check it out again. Knowledge is power, and Insights allows me to make data-driven optimize marketing efforts. Contact me if you are ready to sell and would like to learn more about my comprehensive marketing plan. As offers come in I will present them to you & together we will review all of the details making sure you understand all of the terms of the agreement. Reviewing and understanding the purchase agreement and buyer qualifications are essential to a successful real estate transaction. I will negotiate to make sure the terms are to your satisfaction and in your best interest. The Escrow company is a neutral third party with the responsibility of overseeing the contract to make certain that no funds or property will change hands until all terms and conditions of the purchase contract have been met and to make sure that the interests of all parties to the transaction are protected. Upon acceptance of the purchase agreement by buyer and seller the escrow process begins and the contract is now officially active. Throughout the escrow process I will be there to ensure the buyers meet their contingency deadlines and to advise on any requests that the buyer should have in order to keep the sale on track & set to close in a timely manner. The closing date is determined by the buyer and seller when the parties have agreed to and accepted the terms of the purchase agreement. The escrow officer confirms that all the conditions of the purchase agreement have been met, confirms the final details with the title company, orders title insurance and releases the file for recording. Close of escrow happens when the notarized grant deed that the seller has signed is recorded at the county recorder’s office. This deed transfers title of the property from the seller to the new buyer. Upon confirmation that the deed has been recorded, the escrow officer will notify all parties. Keys are exchanged & the escrow holder will then process the closing, balance the final figures of the file, disburse the funds accordingly (including any refunds to the buyer), and generate and disburse the final closing statements.